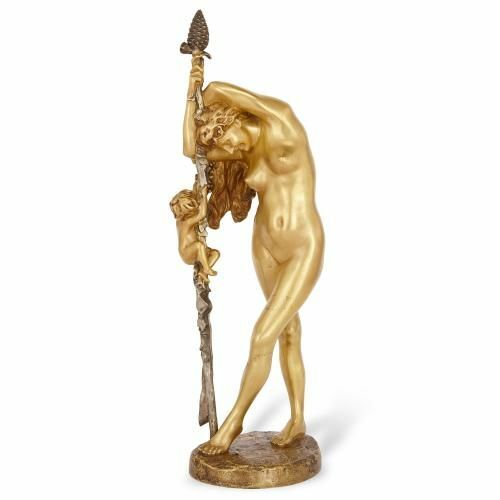 Jean-Leon Gerome was one of the most important artists of his time, and this exquisite antique ormolu sculpture typifies his breathtaking talent. 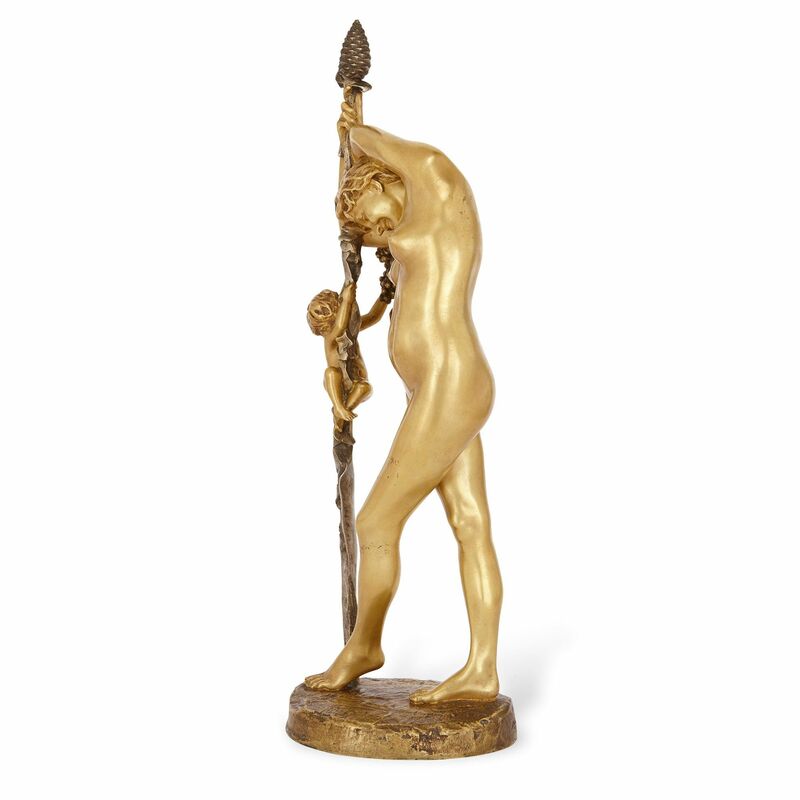 The figural group is cast in gilt bronze, and depicts a bacchante, the name in Ancient Greek literature and mythology for a priestess or female follower of Bacchus (Dionysus in Roman mythology), the god of wine and celebration. 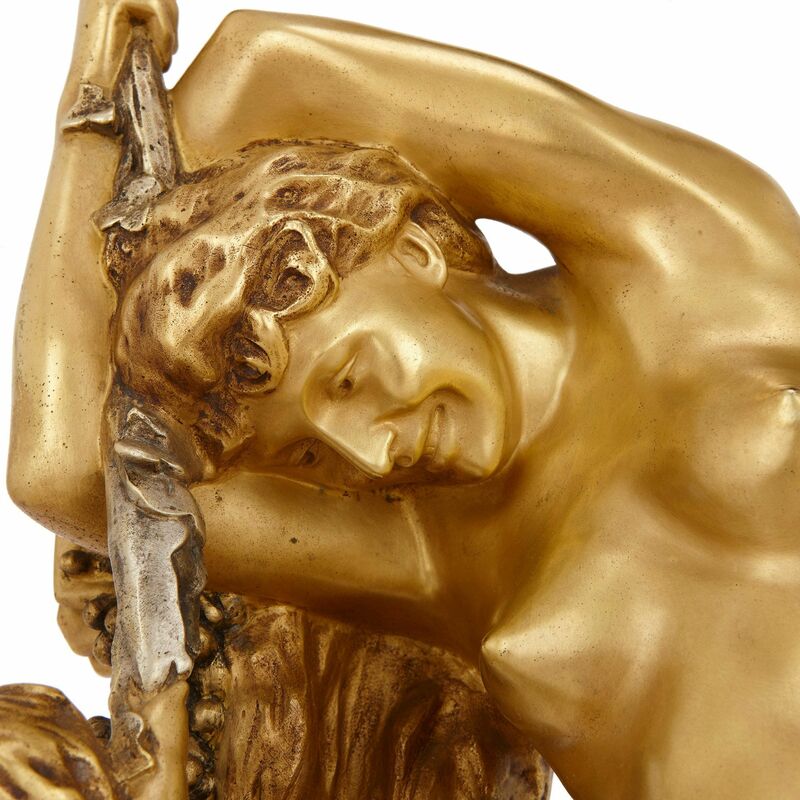 She is shown holding a thyrsos, the name for an acorn-tipped staff particularly associated with Bacchus. 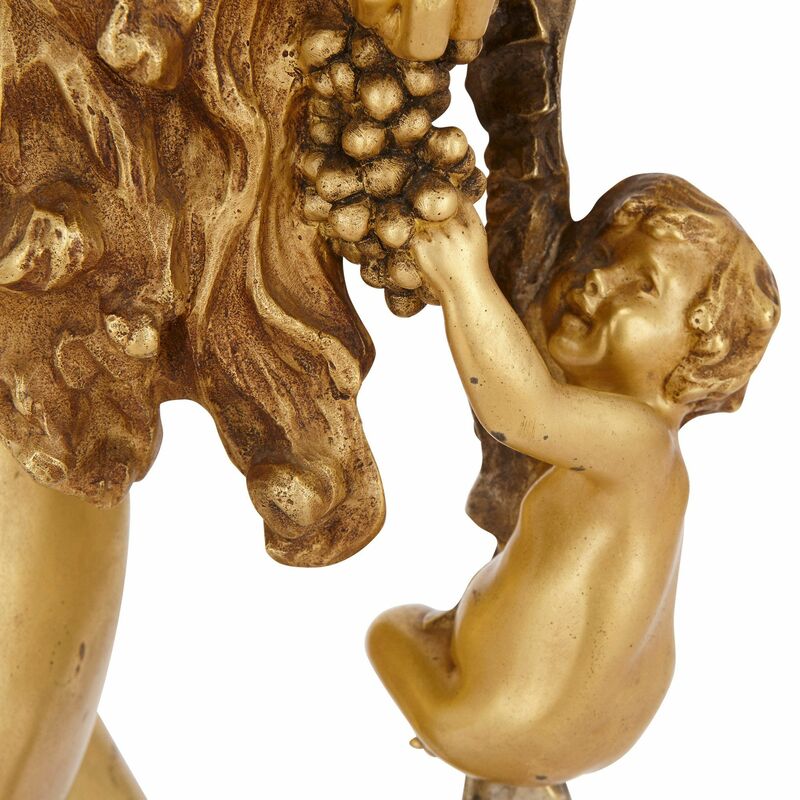 A small figure of a putto, or Cupid, is shown climbing the thyrsos towards a bunch of grapes being held by the bacchante just below her head. The group is set on a circular base, which is signed 'JL. 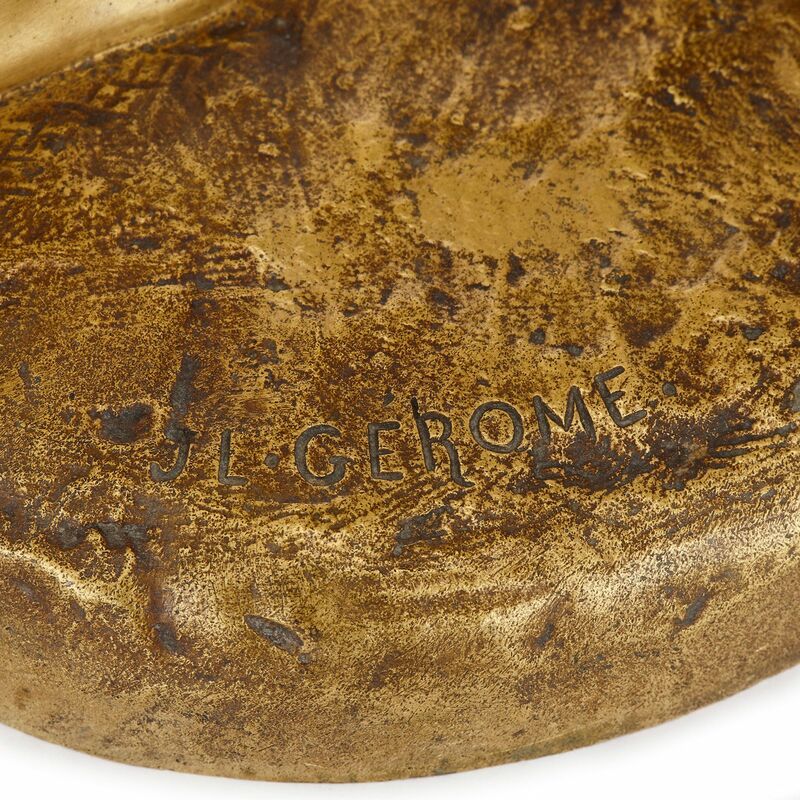 GEROME', has a foundry stamp for Siot-Decauville, Paris and is numbered 'C739'. The present model was one of Gerome's later works, having only turned his hand to sculpture in the late 19th Century. He had previously made his name as a painter working in the Academic style. The present figural group, which is also sometimes known as Bacchante à la Grappe, reflects Gerome's fascination with Classical mythological subject matter. 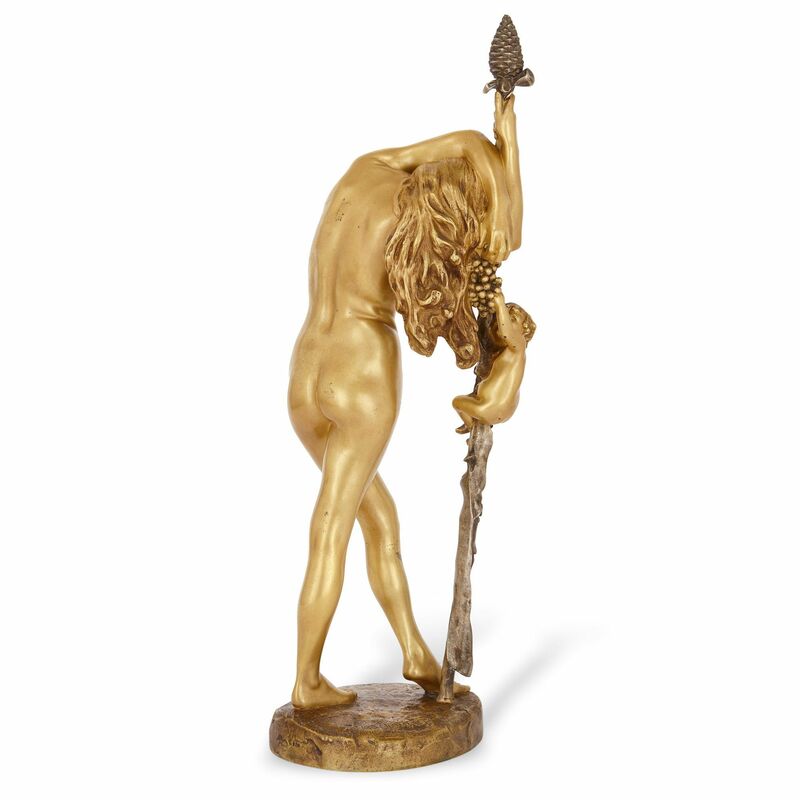 The model was designed in 1892, and cast in bronze by the important Parisian foundry Siot-Decauville, which was active in the late 19th and early 20th Centuries. 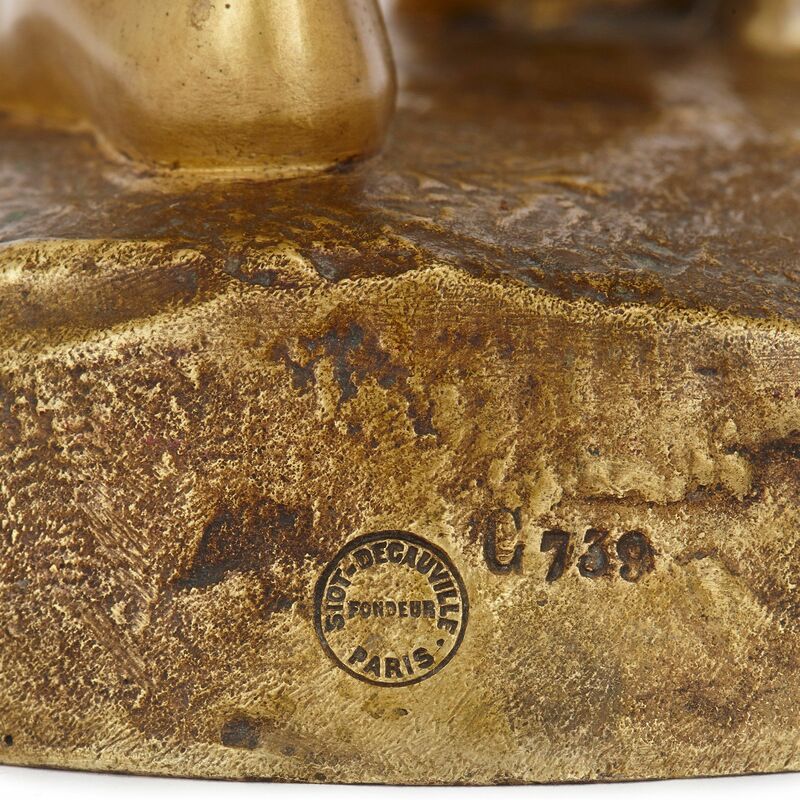 Founded by bronzier Edmond Siot-Decauville, the company quickly established a reputation for the rare colours and quality of their bronze patinas. 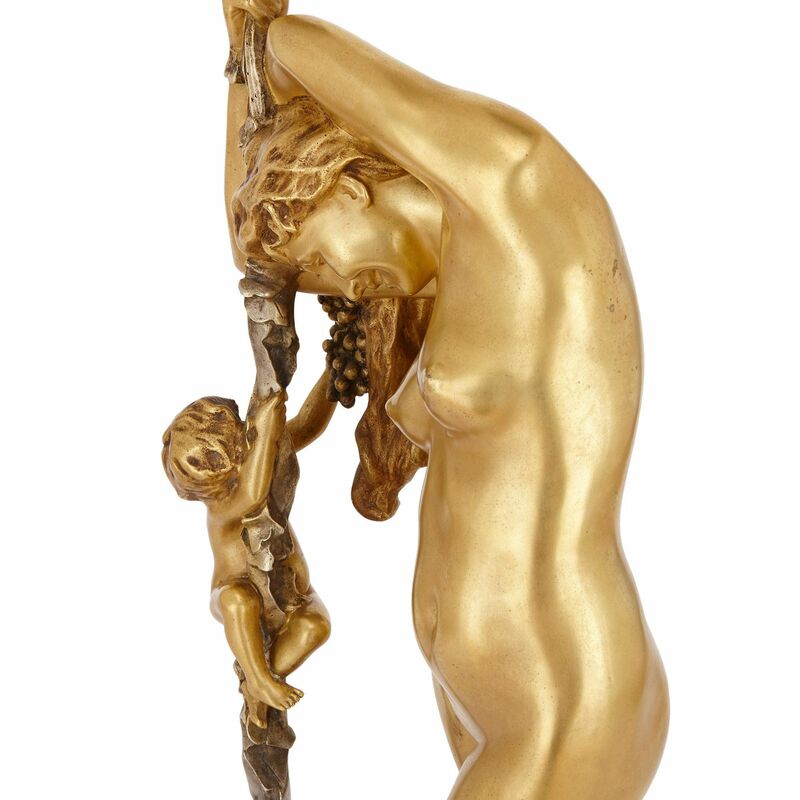 They probably cast this bronze in three different sizes, with the present group being the middle size.